One of them corrected Harvard student John F. Kennedy’s literature papers. Another is the grandson of slaves and was a classmate of the teenaged Martin Luther King Jr. A third escaped Europe on the eve of World War II and rose to become a key aide to President Lyndon Johnson during the Vietnam War. A fourth helped to throw open the gates of all-male colleges to women. Harvard has hundreds of older professors with intriguing personal stories like these. 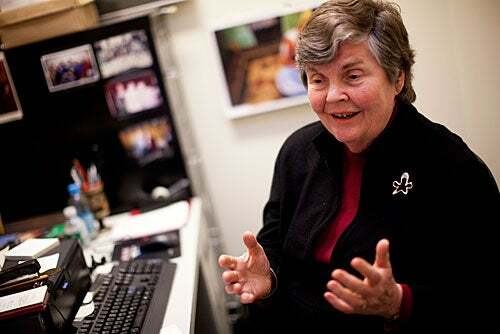 Officially, the men are each called emeritus and the women emerita, honorifics that originated with the Latin word for “skillful, but honorably retired.” In many ways these professors, many of them still active in their fields, are the keepers of Harvard’s living history. Their experiences illuminate most of the 20th century, their teaching guided generations of students, and their mentoring trained most current faculty members. Many emeriti had early lives marked by family hardships, hideous wars, grand injustices, and Gump-like brushes with fame. Their diverse numbers include Norman Ramsey, a Nobel laureate in physics who as an Army officer helped to assemble the atom bomb dropped on Hiroshima; Ruth Hubbard, a groundbreaking biologist who escaped the Nazis as a teenager; Sacvan Bercovitch, whose earliest formative years were spent on an Israeli kibbutz; and Bernard Lown, a physician and inventor of the defibrillator, who founded an antiwar group that won the Nobel Peace Prize. Daniel Aaron, who turned 98 in August, arrived at Harvard as a first-year graduate student in 1933. Daniel Aaron, who turned 98 in August, arrived at Harvard as a first-year graduate student in 1933. He remembers Widener Library in the days when historian Samuel Eliot Morison — Class of 1908, and the last Harvard professor to ride a horse to work — would stride in wearing full riding regalia, slapping a leather crop on his high boots. He remembers his favorite students fondly, and has recorded their stories (and often their obituaries) in hardbound journals kept since 1929. Aaron, who still walks to his Barker Center office every day, is currently working on a digest of what he calls his “commonplace books,” which are crammed with paper, pictures, clippings, and autobiographical notations. Aaron published his first scholarly paper in 1935, on “Melville and the Missionaries,” and then spent fruitful decades on studies of the American Renaissance, the Civil War, American progressive writers, and the literary actors in what he once called America’s “cheerful and welcoming democratic collective.” He continues to work in his field. Today’s Harvard is far removed from the institution Aaron first saw nearly 80 years ago. The changes never seemed sudden, he said, but “you don’t keep adjusting easily. You don’t go along with it. You lag behind.” For Aaron, electronic communications is one area of lagging. He doesn’t write email, or own a computer, or have a television. He types on a pivoting-font IBM Selectric, a model introduced in 1961. In 1929, 4-year-old Francis Bator, the son of a prominent Budapest lawyer, took his first ski run. (He wouldn’t quit the slopes until 70 years later.) In 1939, Bator and his family departed for what he thought would be an August vacation in the United States, but World War II barred their way home. 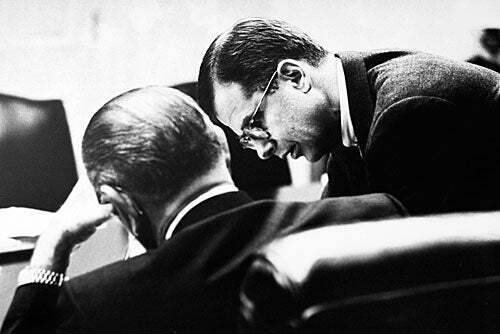 Twenty years later, Bator was in the Oval Office as the new senior economist on the National Security Council staff, and served as the deputy national security adviser to President Johnson. In the White House, according to Business Week, Bator became Johnson’s “key adviser” on world economic matters and European affairs. Writing about him as “Europe’s Assistant” later, The Economist magazine said that he had “a lot to do” with the “lucidity, consistency, and balance” in the administration’s successful handling of such issues as international monetary reform, tariff negotiations, keeping forces in Germany, adapting NATO, and keeping nuclear non-proliferation alive. In the fall of 1967, Bator left the White House to join the inaugural faculty at Harvard’s new John F. Kennedy School of Government. “I was intrigued by the idea of working with a handful of extraordinary colleagues to create a new curriculum that reached across traditional disciplines like economics and law,” he said. One result was a new two-year master’s program in public policy, which he chaired. Bator also leapt with two feet into University life. 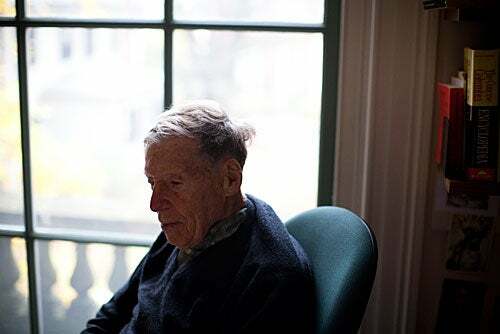 He joined a Harvard governance committee; co-wrote “Harvard and Money,” the pamphlet that urged the University onto a different investment path that swelled the endowment; and joined a committee on Harvard-community relations, which were roiled by Vietnam protests. Coming to Harvard also allowed Bator to re-enter domestic macroeconomics, which he taught in the classroom with flair. A student once wrote, “Bator could teach economics to a stove!” It’s what he has continued to write about, having just begun a small book on what he thinks his grandchildren need to know. And it’s what he taught until, at age 70, he came to feel about teaching as he did about skiing: It was time to stop. His grandfathers were slaves. He grew up in the Jim Crow South in Texas and Georgia. Prior to the Civil Rights era, in 1944, he entered Morehouse College along with Martin Luther King Jr., who became his good friend. Charles Vert Willie, who turned 83 this year, lives in Concord, Mass., with his wife, Mary Sue. Their house is amid woodlands once surveyed by Henry David Thoreau, and not far from the North Bridge, where the first battle of the American Revolution was fought. Willie has fought more recent battles for racial equality and justice. As an applied sociologist, he helped the cause in his own way, collecting and interpreting racial, ethnic, gender, and socioeconomic data. He wrote about race and justice through the lens of sociology, examining urban communities, family life, public health, grassroots social movements, and desegregation in education. 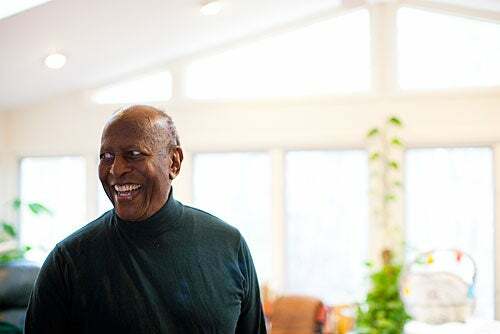 His active teaching career spanned 1950 to 1999, first at Syracuse University, where in 1967 he became the first black professor to chair the sociology department, and where he was vice president of student affairs during the anti-war turmoil. He came to Harvard in 1974 as the first African-American tenured professor at the Graduate School of Education (HGSE). Willie took away two main lessons from his long view of America’s racial past: Be a person for others — a mentor — and always promote love and justice as the foundation of community life. His first mentors were his parents, who raised a family of five during the Great Depression in racially divided Dallas. Willie entered Morehouse at age 16 (King was 15), and found mentors whose messages went beyond good scholarship. They urged him to seek out social injustice and correct it. In his own career, he often invited students home to dinner — and even to help on many of his 32 books. The obligation of higher education, says Patricia Albjerg Graham, is to identify the talented and to invite in those who have been excluded. But education doesn’t happen at home for everyone, especially for American children in the bottom third of the education demographic. Armed in 1955 with a bachelor’s degree in English and history from her hometown university, Purdue, Graham found out soon enough about that bottom third. With her husband in the Navy, she took a teaching job at Deep Creek High School in rural Virginia. The annual salary was $2,250, but the education was priceless. At Deep Creek the boys struggled with their studies. Three of the girls in her ninth-grade classroom became pregnant. And Deep Creek, a segregated white high school, had a 75 percent dropout rate. But before she left, Graham learned how to teach reading, speech, and drama, and guided her 12th-grade theater group to a second-place state title for the best high school play. She became director of Barnard College’s Education Program (1965-1974), where she learned about the underserved New York City schools. The excluded, of course, were more than just poor whites and underprivileged minorities. They were women too. In 1974 she joined the HGSE faculty. She became vice president of Radcliffe College, and then dean of what became the Radcliffe Institute. By 1977, Graham was one of four Radcliffe affiliates working with four Harvard men on an agreement to blend the colleges under one academic umbrella. After spending two years working at the National Institute of Education, where she supervised a $100 million research budget, Graham returned to Harvard. By 1982, she was the HGSE dean — the first woman at Harvard to be named dean of a whole faculty. The obligation of higher education, said Graham, is to identify the talented and to invite in those who have been excluded. Earlier this year, Grandma Moses (pictured) was rescued from a submerged cat carrier in the Charles River. She was cared for at the MSPCA-Angell before being adopted. Founded in 1868, MSPCA-Angell is the second-oldest humane society in the United States.